​Should an aggressive dog be surrendered to a shelter? We featured an article ​the other day entitled, IS EUTHANASIA EVER AN OPTION FOR BEHAVIOUR PROBLEMS?. ​ It explored how ​difficult​ it is for an owner to consider this option. However ​where dangerous dog​s are concerned, and all ​options have been explored and exhausted, it ​is often the right thing to do, ​for both the dog, and in the interest of responsible pet ownership. ​At ​a shelter I visited ​in 2017, I came across a dog that could not be re-homed, and whom had been at the shelter for a ​number of years, exhibiting extreme obsessive behaviour. I asked the lady in charge ​ whether she had an opinion on euthani​s​ing ​this poor animal? I was told that “it was a No Kill shelter, and not the Christian way of doing things, and we should not try to act like God”. ​Upon reflection I ​cannot help but wonder how "christian" it is to allow a sentient being to spend its life like a prisoner in virtual solitary confinement - is this not a fate worse than death? There is a difference between no kill and no suffer - especially for an older dog, or a dog that is used to being with its family, and this applies to any dog that is dumped at a shelter for some reason (death/personal circumstances), whether the dog is dangerous or not. An additional factor to consider, is the cost of keeping a dog that cannot be rehabilitated for whatever reasons, is that this dog is taking up space for dogs that can be re-homed. Why do dogs become dangerous? In my experience, it is rare to come across a dog that is born aggressive. Some of the common causes for aggression could be a genetic component, the result of bad and irresponsible breeding, as is often seen with the fighting breeds or there could be a neurological component at play. ​due to severe abuse​ . Another possible reason could be that a dog has been used in dog fighting, either as bait, or as a contestant. Perhaps the owner has practiced the old-fashioned training methods where physical punishment was undertaken, and the dog has become fearful of people. The one thing that you can guarantee with aggression, is that the more it is exhibited, and the dog finds that the behaviour works, the more the dog will engage in the behaviour. Pups taken away from their moms and litter-mates before 8 weeks of age – these pups very often end up with various fear behaviours. If we realize that 99% of aggression is fear based, you can understand why being taken away so early could impact. A fear biter is one of the most dangerous dogs to work with – they do not always give signs that they are going to attack – they very often attack when one turns one’s back. Lack of early socialization at puppy school where the pup learns to interact with other dogs and people. The period up to approximately 16 weeks of age is crucial, and where a solid social foundation can be formed, and the pup must be exposed to other dogs, animals, people and locations in a positive manner. These same dogs seldom receive any further socialization. ​Incorrect training methods, that make use of positive punishment i.e. smacking, alpha rolling, pinch and shock collars etc. A dog that is mostly kept in its yard and seldom gets to interact with other animals and people and often resource guarding of the family and its property develops. which translates into aggression towards strangers. Can dangerous aggression be avoided? 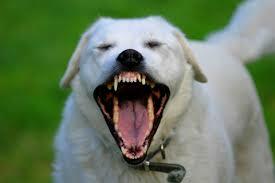 The second an owner sees any type of aggressive behaviour from the dog, that a professional is called in. As mentioned before, aggression does not go away all by itself, it will get worse and the sooner it is tackled, the more likely it is that the behaviour can be changed. All too often professionals are only called in once the behaviour has escalated in that a bite has occurred. Owners purchase from responsible, reliable breeders who only have the betterment of the breed at heart. A suggestion is to purchase from a KUSA registered breeder. This cannot guarantee the character or personality of the dog; however, it does give the owner some degree of recourse. The Nature aspect has been taken care of - it is then up to the owner, to take care of the Nurture aspects. 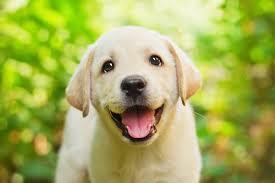 Owners educate themselves what to look for in both a breeder and also when it comes to choosing a puppy. We have umpteen articles on these subjects on our website on the Puppy Page. If not purchasing from a breeder such as above, then to give a shelter puppy a home and not take a chance of buying from any breeder other than a KUSA registered breeder. Remember, that each and every time we purchase a pup from a doubtful source, we are, inadvertently of course, reinforcing the behaviour of the 'breeder' continuing to breed! Train the pup with positive reinforcement methods. Socialize, socialize, socialize – right from when the pup comes home at 8 weeks of age. This would include puppy school (at about 10 weeks - after 2nd set of vacs), as well as the owner exposing the pup to as many different animals and people in the critical 16-week period when it is much easier for a pup to accept new dogs, people, locations etc. After the 16-week period, fear periods tend to occur, and it becomes much harder for the pup to accept anything new in its life. Ongoing socializing, throughout the dog’s life which would include seeing different people and animals on its walks a few times a week. Ensuring that all the dog’s needs, such as time with people, feeding, shelter, mental and physical stimulation is undertaken. The only way we can really make a difference, is to share our knowledge and make people more aware, and by working together for a common cause - the betterment of dog’s lives. So, if this article resonates with you, please do share it. Every time there’s conversation regarding feeding human food to dogs, the main questions many people ask me is: Can dogs eat eggs? Are eggs safe for dogs to eat? Even pets that outwardly seem to barely get along will exhibit intense stress reactions when separated. In fact, grieving pets can show many symptoms identical to those experienced by the bereaved pet owner. You will hear people say over and over, that the difference that TTouch can make to reduce stress is simply amazing. However, what they may not know is that it is due to a dog called Danillo, that TTouch came to SA at all!